belgian, if you couldn’t tell by the name. a sour. that’s right, sour beer. we first tried it here & it was love at second sip…i needed to give it another try to get over the initial weirdness. not bad at all, just not the flavors i was expecting to get from a beer, but let me tell you, i really, really love the style. 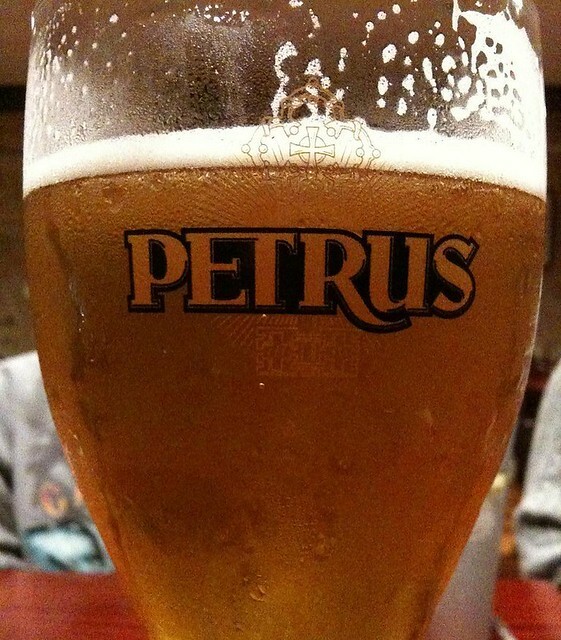 this petrus has a pretty golden color, smells of tart fruit & is seriously a drinkable treat. This entry was posted in beer, drinks and tagged belgian, sour. Bookmark the permalink.